Nine cousins. Six dozen eggs. 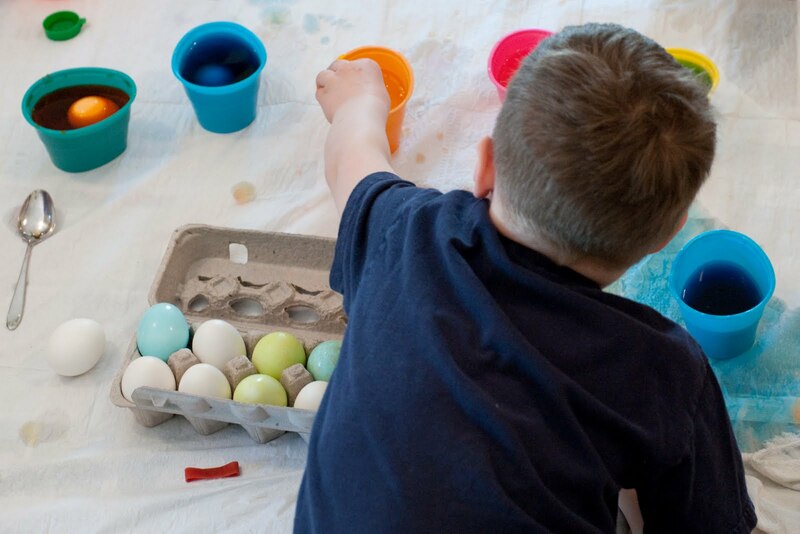 Two Paas egg coloring kits. One disposable tablecloth. Looks like a lot of fun! Happy Easter to you and your family too! And a lot of egg salad sandwiches this next week! Happy Easter!